Materials Science International, Inc. (MSI) is a world class manufacturer of high quality sputtering targets. MSI’s growth in the industry is due to our commitment of providing customers with exceptional value and service. MSI was founded in 1981 and had maintained an ISO 9001:2008 Certification. MSI now has officially become a Certified ISO 9001:2015 Company. The MSI team including the MSI Machine Shop are experienced in the manufacturing of many target types of various vacuum coater designs and other coater support equipment. The quality and reliability of MSI targets, coupled with outstanding customer service, have earned industry recognition and awards in both domestic and international markets. In 2008, MSI expanded its operations by adding an additional 50,000 square-foot of manufacturing space located at 1400 Norton Road. 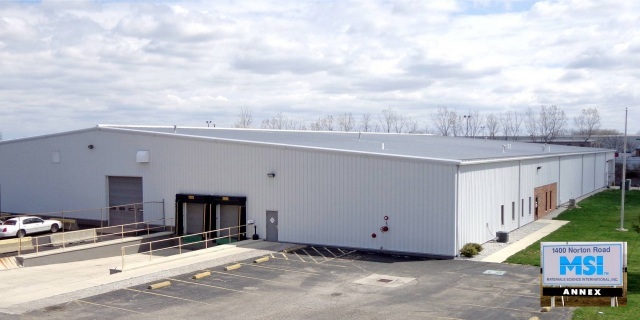 The facility offers modern manufacturing machinery which adds great value to the original 25,000 square-foot facility. MSI is a Certified ISO 9001:2015 Company. Registered by American Global Standards.